Conveniently located within walking distance to SeaWorld Orlando and Aquatica, this family-friendly resort is situated on 28 tropical acres and a half-mile from the convention center. This family-friendly Orlando hotel is located in the entertainment district, within a 15-minute walk of Aquatica and Discovery Cove. SeaWorld® Orlando and Orange County Convention Center are also within 3 mi (5 km). 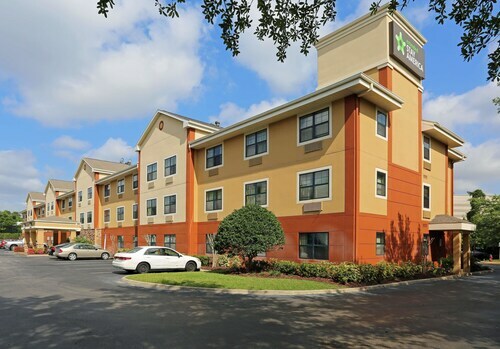 This Orlando hotel is adjacent to SeaWorld, a half-mile mile from Aquatica and Discovery Cove, 1 mile from the Convention Center; and less than 7 miles from Universal Studios and Walt Disney World Resort. 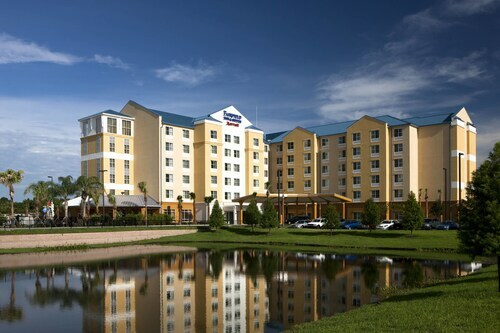 Situated in Orlando, this hotel is within a 15-minute walk of Aquatica and Discovery Cove. SeaWorld® Orlando and Orange County Convention Center are also within 3 mi (5 km). 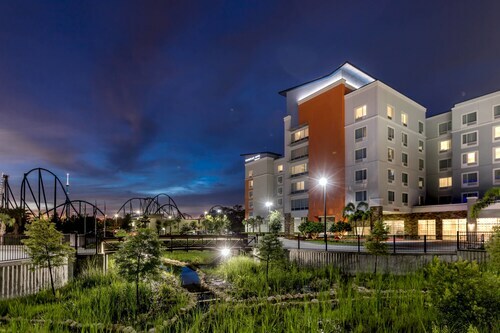 Situated in the entertainment district, this hotel is within 2 mi (3 km) of SeaWorld® Orlando, Aquatica, and Pointe Orlando. Discovery Cove and Orange County Convention Center are also within 2 mi (3 km). 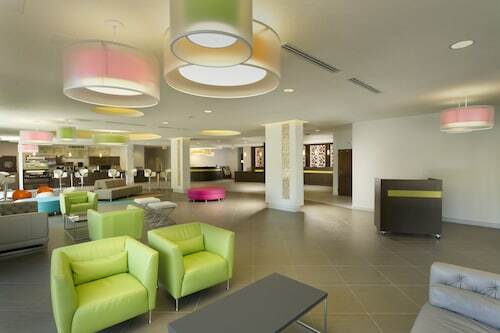 Situated in the entertainment district, this hotel is within a 15-minute walk of Aquatica and Discovery Cove. SeaWorld® Orlando and Orange County Convention Center are also within 3 mi (5 km). 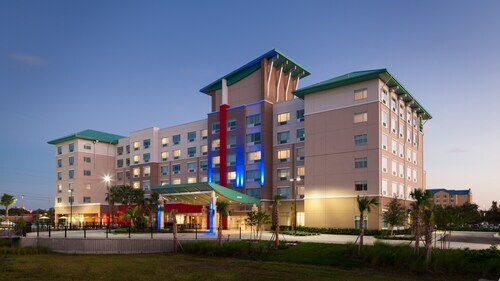 Situated in Orlando, this hotel is within 2 mi (3 km) of SeaWorld® Orlando, Discovery Cove, and Aquatica. Pointe Orlando and Orange County Convention Center are also within 3 mi (5 km). A trip to SeaWorld® Orlando usually ranks as one of the leading things to do for many travelers. Be sure you schedule plenty of time so you can properly explore this iconic attraction. It's just one of the things that makes the city of Orlando a favored destination. It will be an easy drive from the hotel to SeaWorld® Orlando if you choose to stay at one of the 53 candidates that are in the immediate vicinity. 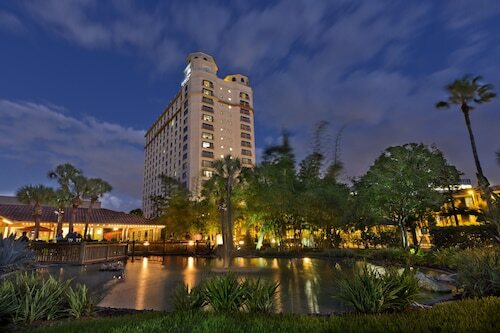 The Marriott's Cypress Harbour, 0.9 miles (1.4 kilometers) away, is one place to start looking. You might also like to look into the Bluegreen Vacations Fountains, Ascend Resort Collection, just 2 miles (3 kilometers) away, or the Marriott's Harbour Lake, only 1 mile (2 kilometers) away. If you have to save money, there are some inexpensive hotels close by. 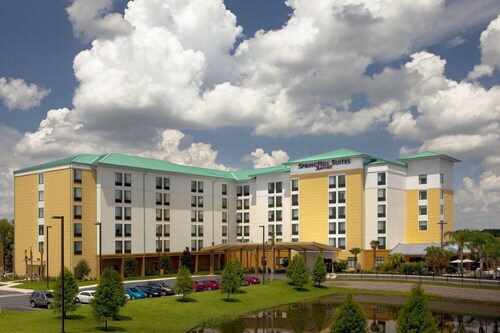 A couple of examples are the Red Roof Inn Orlando - International Dr/Convention and the Extended Stay America-Orlando-Convention Ctr-Sports Complex, which are located 0.8 miles (1.3 kilometers) and 0.5 miles (0.8 kilometers) away, respectively. Expect lavish accommodation and superb service at your choice of the luxurious hotels nearby. Chances are you won't ever want to leave when your stay comes to an end. You might want to make a reservation at the Hyatt Regency Orlando, only 1 mile (2 kilometers) away, or the Renaissance Orlando at SeaWorld, located 0.2 miles (0.3 kilometers) away. If you need a second wind, keep your brain awake with a jolt of caffeine. Enjoy your favorite coffee from Starbucks, just a short walk away. If you're in need of something that's more nourishing, Seafire Grill at SeaWorld is close by. You can keep walking and spend the rest of your day enjoying the wine, beer and whatever else entices you at Sharks Underwater Grill. Cool off in the water-based attractions at Aquatica. Make sure you pack your towel and a hat! Step foot into a colorful underwater paradise at Discovery Cove. You'll definitely find the perfect souvenirs and gifts for your friends and family back home at Pointe Orlando. Rememer to buy yourself a treat or two, as well! Go and check out the exciting program of art courses, exhibits and music shows proudly offered by Orange County Convention Center. You'll lose yourself at this gaming fan's utopia. Wonderworks has all types of games that'll give you a bit of a challenge. Need insider tips on must-see attractions in SeaWorld® Orlando? Check out our SeaWorld® Orlando travel guide! How Much is a Hotel Room in SeaWorld® Orlando? 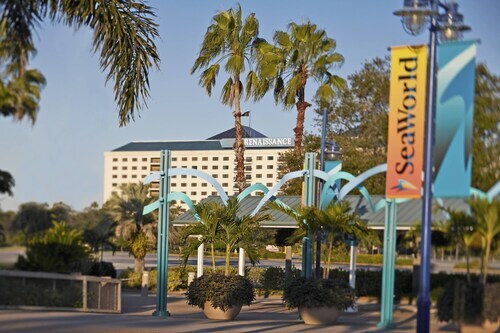 Hotels in SeaWorld® Orlando start at $67 per night. Prices and availability subject to change. Additional terms may apply.